What can I do Legally to Act on my Suspicions? When your loved one is in a nursing home, you expect them to receive proper, compassionate care. While most Texas nursing homes take good care of their patients, those that fall short jeopardize the safety of all their residents. If you know what steps to take if you suspect nursing home abuse, you will help ensure that your loved one is safe. Knowing what warning signs to look for makes a difference. While most people think of physical injury, there are other types of harm that occur either through abuse or neglect. Bedsores and frozen joints may occur when the staff doesn’t move residents as often as they ought to. Patients may suffer falls and other injuries if they don’t receive assistance in moving around, or the staff fails to respond to a call light in a timely manner. It is imperative to maintain close contact with your loved one so that you know about the care that they are receiving. When your family member can tell you about their care themselves, without interference from staff members, you’ll have a better idea of what’s going on. One red flag is if the staff won’t let you talk to your loved one on the phone or speak to them privately during visits. 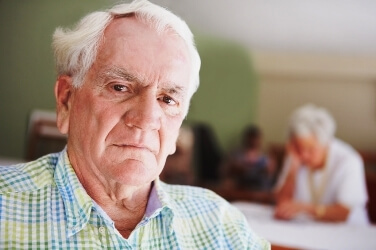 Seeing a nursing home abuse attorney in Texas is a good idea if you suspect that the facility your family member is in is abusing or neglecting them. According to recent news reports, the state does not adequately address abuse claims or investigate the deaths of residents. A lawyer who handles nursing home abuse cases knows all the relevant laws and will fight to make sure that your loved one’s case receives the attention it needs. It is important to ensure that the care facility is following all the relevant state and federal laws. Make sure that what you see during your visits is clean and sterile. Make sure your family member’s clothing is clean and cared for at all times. If you see anything that seems inappropriate, take photos, regardless of whether it’s unsanitary conditions or an unexplained sore or injury. If you have access to medical records, make sure you take note of unexplained injuries or medical issues. Write down statements from your loved one that corroborate the information you have. If you have evidence that suggests there is abuse going on, you should file a complaint with the State of Texas. The Department of Aging and Disability Services, also known as DADS, handles complaints related to nursing homes. You can call DADS to make your complaint or use their website. One thing you must bear in mind is that many elderly people may have communication difficulties or may be afraid to speak up. If you have good reason to fear abuse or neglect, it is better to err on the side of caution than to jeopardize your family member’s safety. Is Your Home Affected by Stucco Defects? We Want to Help. Are you the victim of a drunk driving accident? We can help!